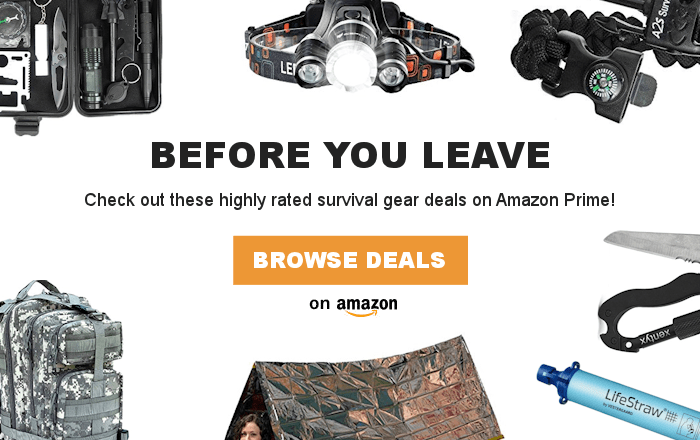 5 MAINTENANCE FREE LIDS. Automatically vent gas. No need to burp jars or maintain water levels in airlock. Simple one piece low profile design. No messing with multiple bulky pieces. Dishwasher safe. 1 WOOD POUNDER. 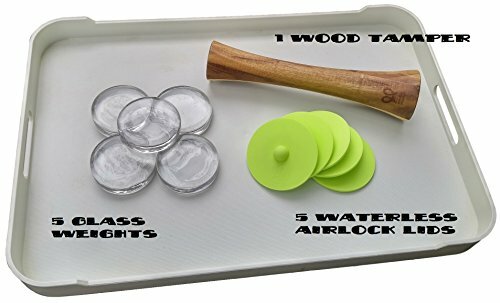 All natural Acacia wood tamper presses cabbage easily and tightly in any wide-mouth mason jars. Fermenting has been around for a long time. Fermentation food helps promote healthy gut bacteria and improves digestion. 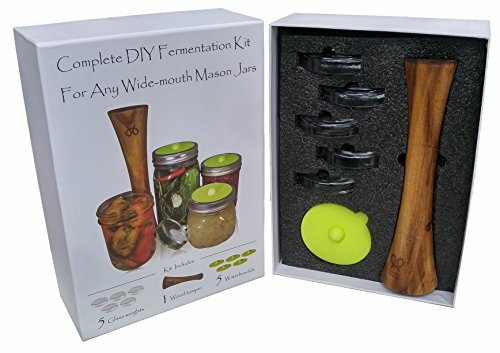 This fermentation kit includes 5 maintenance free silicone lids, 5 glass weights, and 1 wood tamper. Simple 3 steps to create your healthy fermented food. Step 1 – Put your vegetable and brine in the wide mouth mason jar. Step 2 – Put a glass weight on top to keep all vegetables submerged. Step 3 – Put the silicone lid on top and screw the ring closed. No burping for monitoring. It’s that easy. 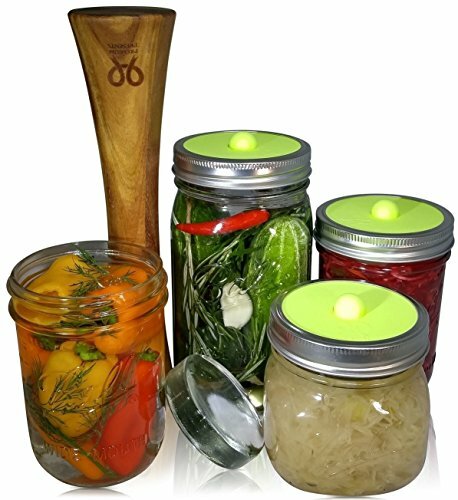 Fun DIY fermentation canning tool. A perfect gift for vegans and vegetarians.